I have been wanting to photograph this for quite some time. My main squeeze and fiancé, Phil, is quite the engineer, a creator, a talented welder, a hard worker and a diligent student. He is completing his master's degree at A&M right now and is applying to A&M's vet school for next fall. Amidst all the busy-ness of his school, career and part-time work plans, he is being an excellent partner in helping to plan our spring wedding in 2015. I am so proud of and thankful for all his accomplishments. His most recent creation is this beauty featured below - a big time, professional air-plane grade painted, whoppin' barbeque pit. It amazes me how he can form these plans and ideas in his head and make them happen with his hands, exclusively by himself. What a man. I don't brag on him enough, but today I wanted to show off his baby, his masterpiece. 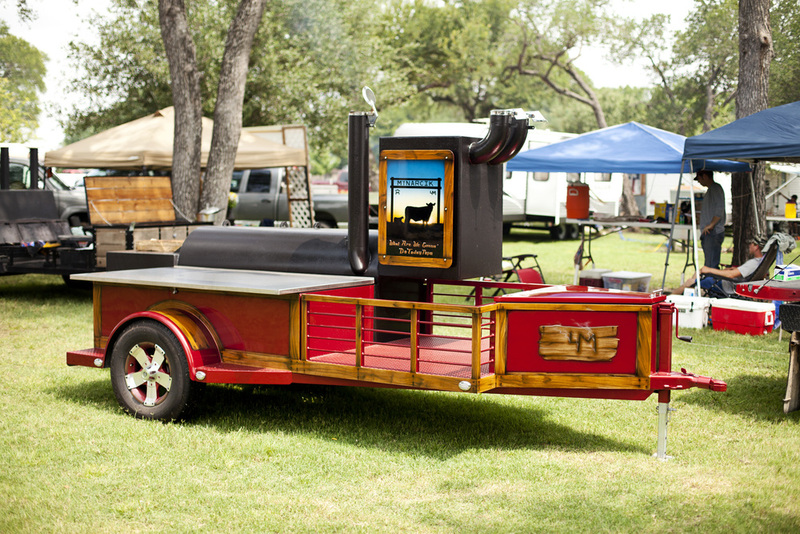 He hauled the pit to Salado for the 4th of July to barbeque for us all and I took advantage of this time to shoot some photos of his finished product. A few weeks later Phil and my brother, Logan, formed a two-man team (Bro-in-Law BBQ Co.) and competed at their first barbeque cook-off together. Another photo-op for me! I haven't taken the time in the past few years to photograph my own life. I have worked hard to photograph other's lives and love doing so! But I've made it a goal of mine to now take time to photograph my own family and friends and showcase our lives as well. What good are these photos stored away on my computer without bringing them to life, sharing them with others, and especially printing them out for keepsake?